Cover: E.N. Amaku, Inyang Abasi Ndem (Lagos: Thomas Nelson [Nigeria] Ltd, 1973). 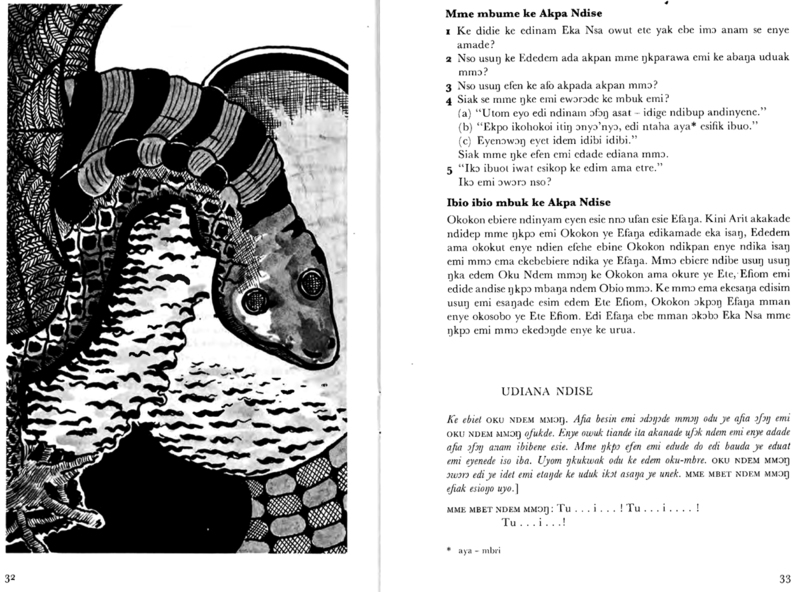 There exists a small but significant body of published literature written in the Èfị̀k language that seems to document indigenous folktales and fables, poems, mythic histories, plays, and learning tools for children. Written from the 1930s to the 1980s, these texts were used in schools and theaters of the former Calabar Province, which included what is now Cross River State (created in 1967) and Akwa Ibom State (created in 1987), and parts of Abia and Ebonyi States. While some of these texts have been translated, even rudimentarily, into English and in one case into French, most have not. 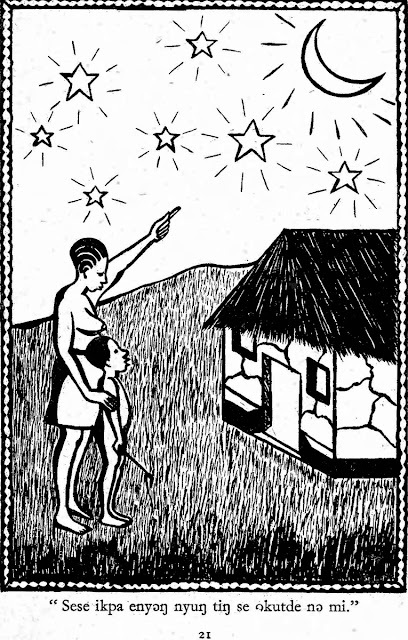 To promote the culture and history of the Calabar region globally, this author seeks to organize a translation team to render this literature into English, and eventually Spanish, so that people of the Western Hemisphere can access the ‘Carabalí’ heritage of their ancestors, since thousands of people from the Calabar region were forcibly migrated from Argentina to Canada over the 350 year course of the nefarious trade where they were known as ‘Carabalí’. In Calabar itself, the earliest document written by an Èfị̀k speaker was probably the Diary of Antera Duke (1785-1788), written in Pidgin English to record trade and social interactions (Behrendt et al. 2010). 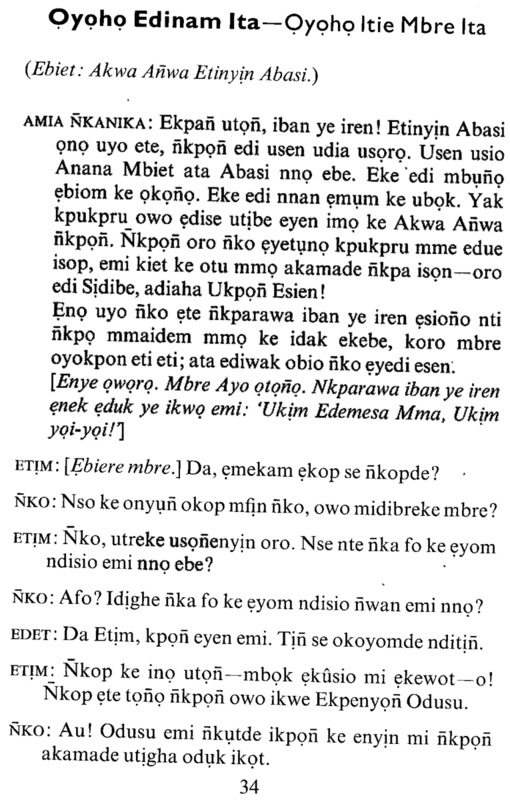 Writing in Èfị̀k language seems to have begun with Scottish Presbyterian Missionaries in Creek Town and Calabar from 1846 onwards, who translated Bible lessons into Èfị̀k (Goldie 1901: 241, 303-304). 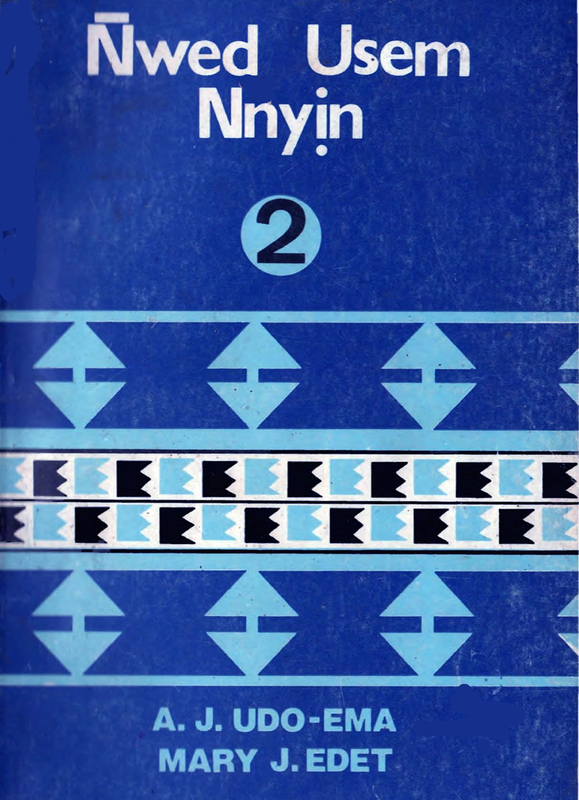 But these indigenous twentieth century books in Èfị̀k are something else: they document indigenous values and perspectives. Because the Èfị̀k-speaking communities on the banks of the Calabar and Cross Rivers became the middle-men to European traders from the early 1600 onwards, Èfị̀k became the lingua franca of the entire region through trading networks, up to Arochukwu (Abia State), Bende (Abia State), Oban (Akamkpa L.G.A. ), Ọrọ (Ọrọn L.G.A. ), Umon Island (Biase L.G.A), Usak-Edet (Isangele, Ndian Division, S.W. Cameroon), and so on. When the trans-Atlantic slave trade was abolished by treaties between Èfị̀k chiefs and the British in 1842, Èfịk leaders invited Presbyterian missionaries to Calabar for purposes of education. Arriving in 1846, missionaries Hope Waddell and others began to write sermons in Èfị̀k using the Roman alphabet, while in 1862 Goldie created an Èfị̀k-English dictionary of over 640 pages that remains the standard. 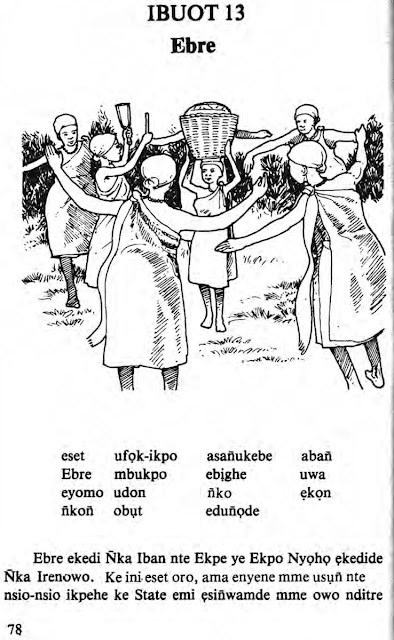 As European and newly converted African missionaries began to set up churches along the Cross River to the north, they used the Èfị̀k texts, reinforcing Èfị̀k as the lingua franca of the ‘new regime’. The authors of the indigenous literature in Èfị̀k were school educated and many were teachers. In 1933, educator Esien E. Ñkaña wrote Mutanda for a national competition by the colonial government to create indigenous texts for use in classrooms. 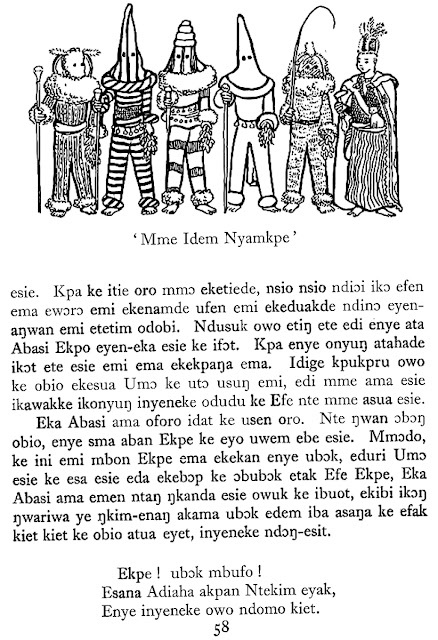 While the text is in Èfị̀k, and labeled “an Èfị̀k folktale,” it’s better described as a folktale from the Cross River region, because multiple language groups who speak Èfị̀k-Ìbìbìò, Éjághám, Ìgbò, and so on, enjoy shared cultural institutions like Ékpè (community justice), Nkugọ or Mọnénkíìm (maiden’s training) as well as shared cuisine. 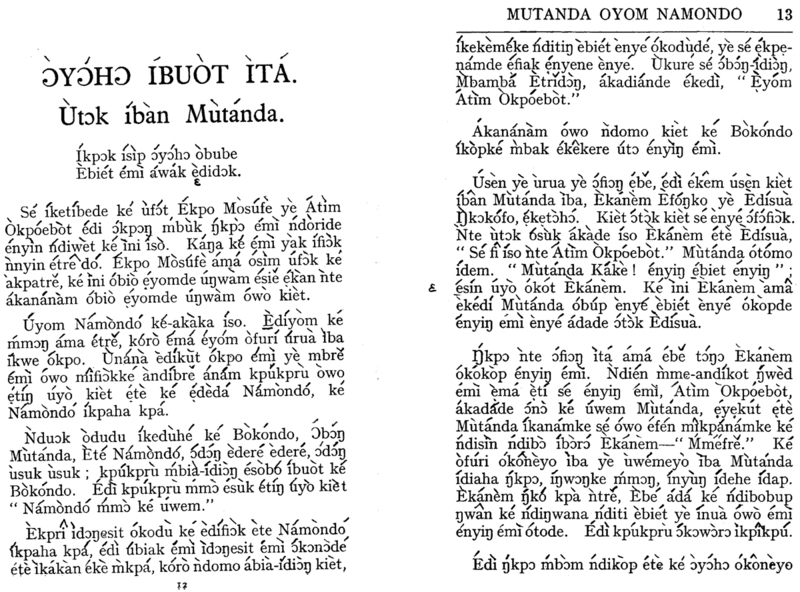 Many of the character names in Mutanda are Bàlóndó, like Mutanda itself. 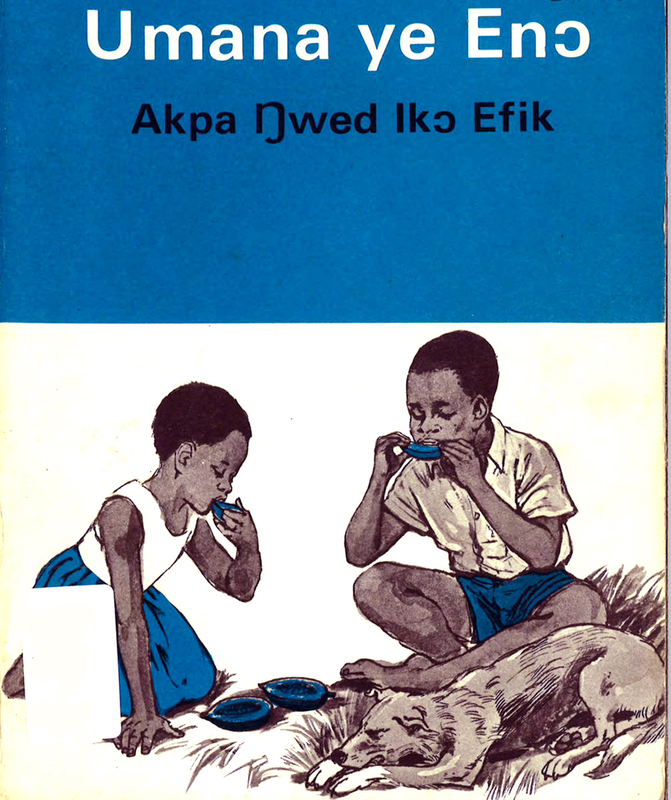 The point is that indigenous Èfị̀k literature expresses cultural ideas of the entire region, and is not limited to the Èfị̀k-speaking people. 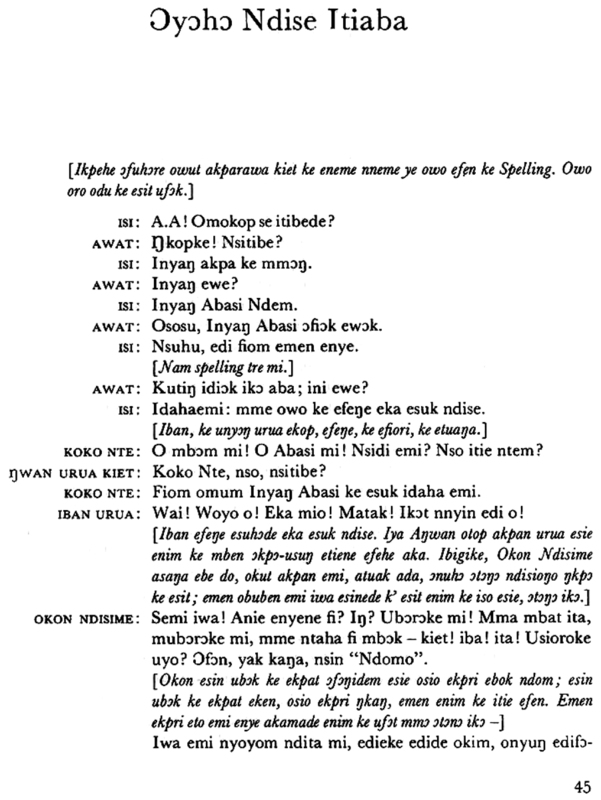 Also, the concept of what is Èfị̀k has varied at different times along a continuum from the narrowest possible scope (a subset of the mother tongue of Calabar metropolis) to the broadest (the lingua franca of the Cross River region, including many terms and idioms adopted from further flung districts in the area now known as Ìbìbìò). 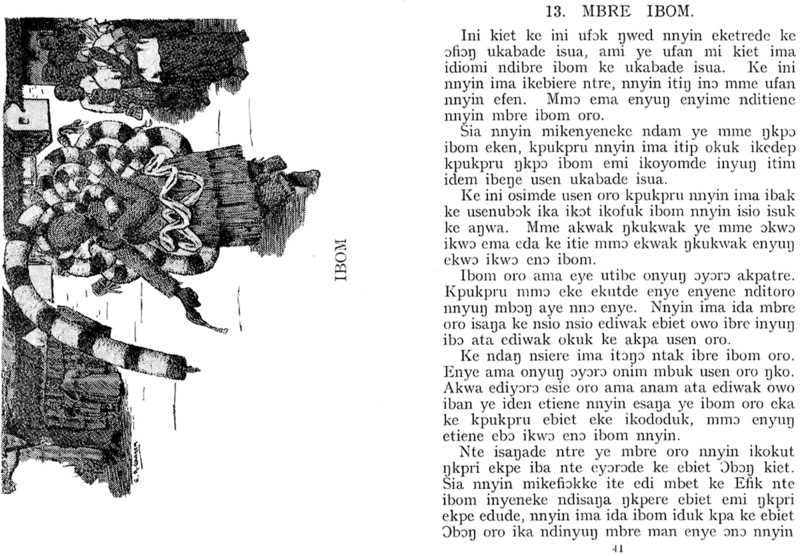 For example, Goldie's 1862 Èfị̀k dictionary includes many entries that today would also be understood as Ìbìbìò. From a historical point of view there is no right or wrong in this question of how to define the scope of a named language. Perhaps the most neutral and historically open-minded approach is to inclusively allow everything into a liberally identified category of "Èfị̀k-Ìbìbìò", following the example of Ọyọyọ (1943). 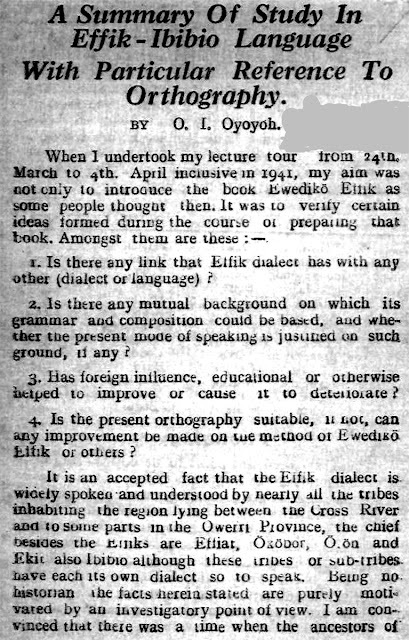 First page of O. I. Ọyọyọ's 1943 study. What follows is a list of books in the Èfị̀k language that the author has identified, with sample pages when possible. The idea is to work on scholarly translations of them to share with readers in English around the world. Amaku, E.N. 2004. Efik Eburutu (Mme ido ye edu uwem mo). Calabar: Glad Tidings Press. ISBN: 978-305410-04. Amaku, E.N. 1933/1987. Ufọkuto ikọ Efịk. [‘Precious Store-House of the Èfị̀k Language’ (poems in ballad form about historical events)]. Calabar, Cross River State: Paico. 133 pages. Amaku, E.N. 1973. Inyang Abasi Ndem. A play. Lagos: Thomas Nelson (Nigeria) Ltd.
Amaku, E.N. 1963. Ikut Adaha Etie Do. Calabar, Nigeria: Thomas Nelson and Sons. Amaku, E.N. 1935-52. 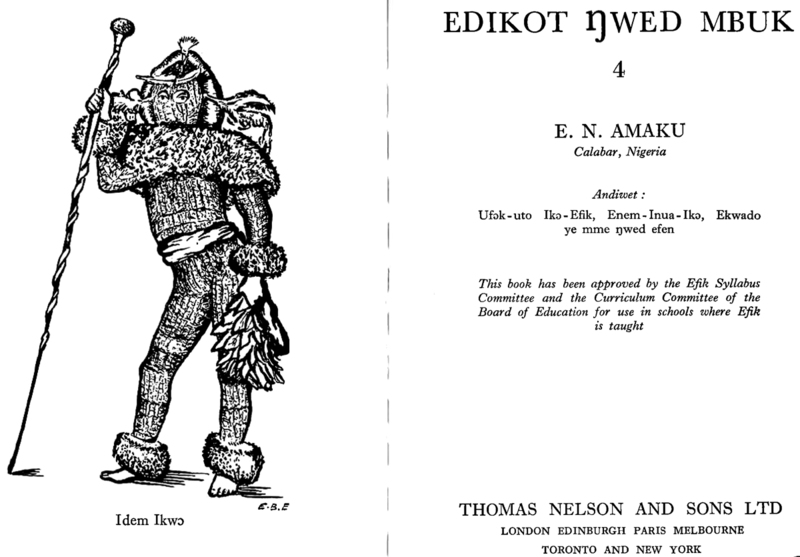 Edikot Nwed Mbuk [‘Story book reader’]. Vols. 1-5. Dundee: Printed by Geo E. Findlay, Victoria Printing Works, 6 Victoria Road, Great Britain (Reprint London: Thomas Nelson & Sons Ltd). Amaku, E. N. N.d. Ekong ke Efik Eset [‘Fables of the Ancient Èfị̀k’]. 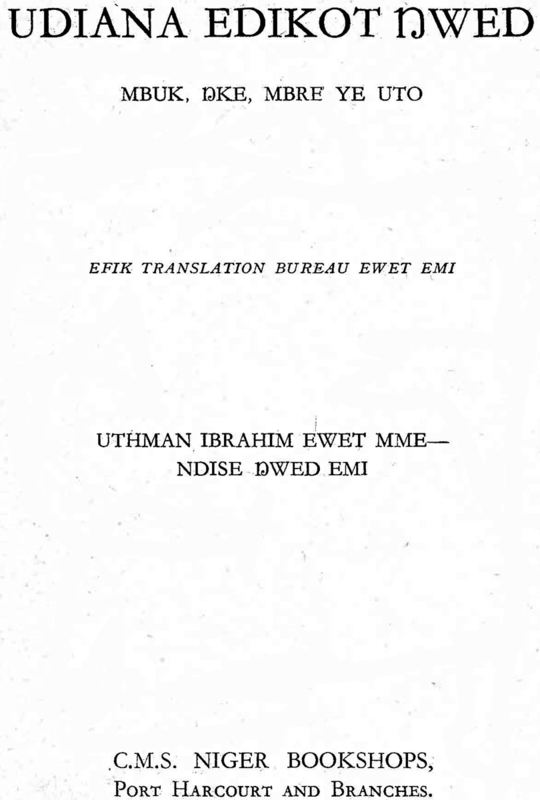 Èfịk Translation Bureau. 20 pages. Edet, Mary J. 1976. Obufa Edikot Nwed 5. Lagos: Macmillan Nigeria Publishers. Mary Edet, Obufa Edikot Nwed 5, 1976. 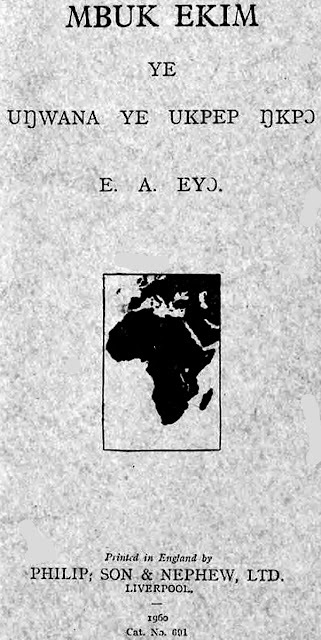 Edyang, E.A. 1982. Sịdibe. A play. Ibadan: U P Limited. Eyo, E.A. 1960. Mbuk Ekim ye Ungwana ye Ukpep Nkpo. Liverpool: Philip, Son & Nephew, Ltd.
E.A. 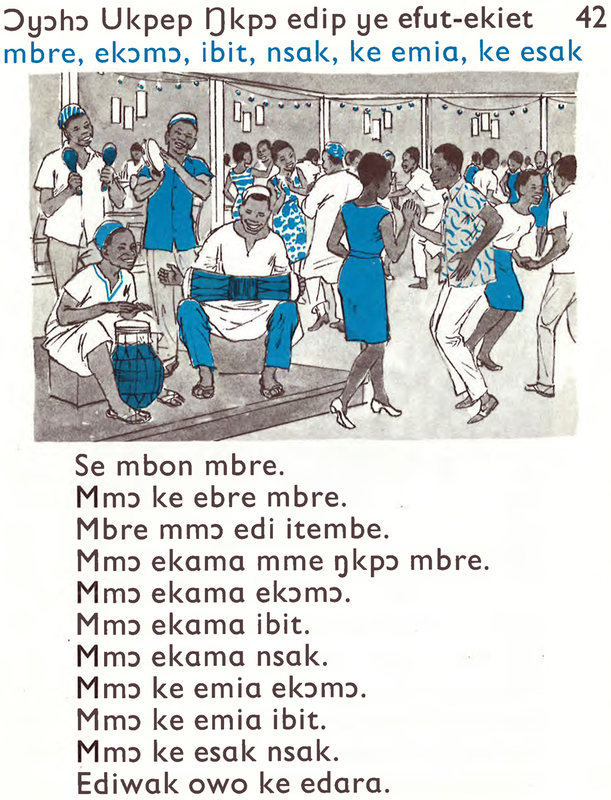 Eyo, Mbuk Ekim ye Ungwana ye Ukpep Nkpo, 1960. 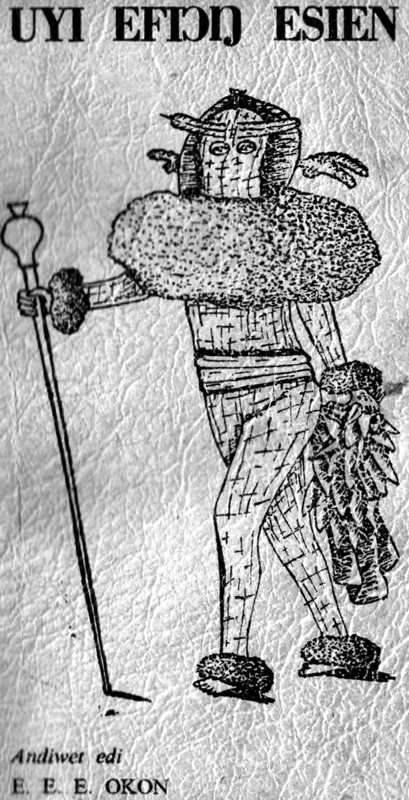 Ñkaña, Esien Ekpe. 1933/ 1960. Mutanda oyom Namondo. "Standard V Reader - Translation Bureau issue". Liverpool : Philip, Son & Nephew. Esien Ekpe Ñkaña, Mutanda oyom Namondo, 1933/ 1960. 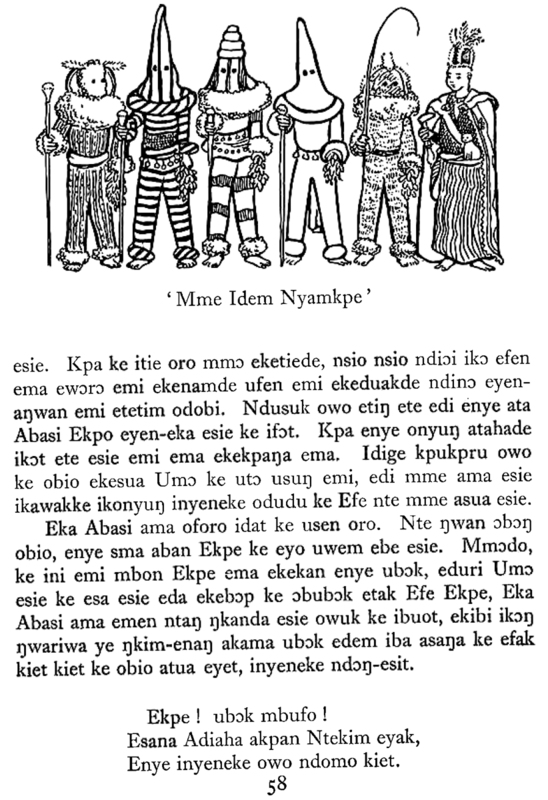 Esien Ekpe Ñkaña, Mutanda oyom Namondo, 1933/ 1960, pp. 12-13. 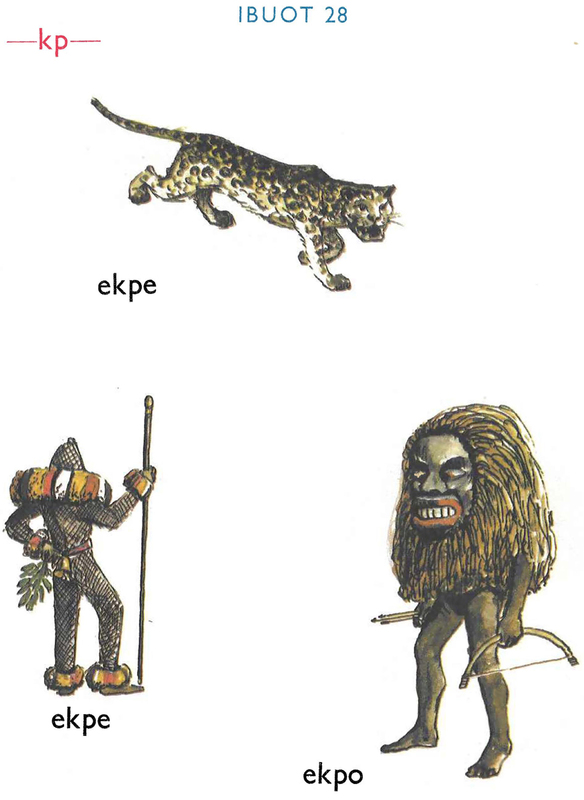 Ñkaña, Esien Ekpe. 1933/ 1984. 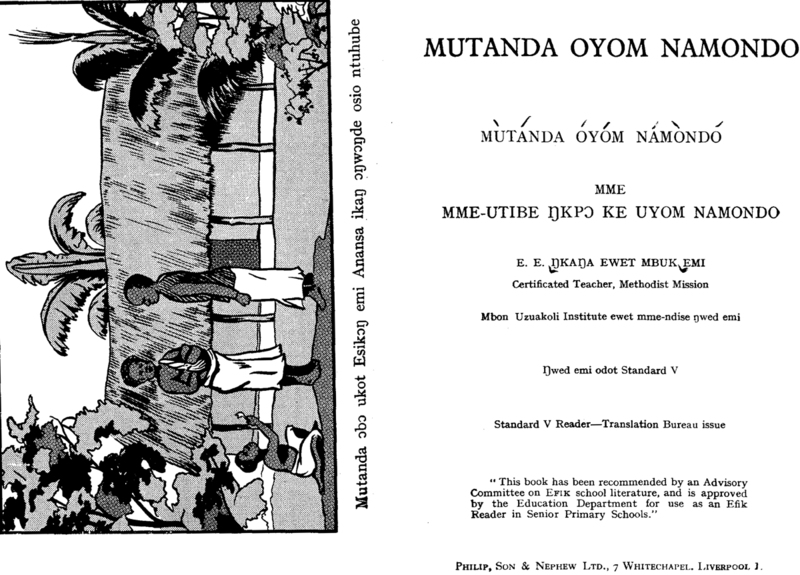 Mutanda: The Search for Namondo. Translated by Sam Eyo-Abidua. Calabar: Samson Publishing. Ñkaña, Esien Ekpe. 2009. Mutanda à la recherché de Namondo. Translated by Margaret Mary P. Okon. Paris: Éditions L'Harmattan. Okon, E.E.E. 1985. Nkukunkpoyoriyo [‘Locust’]. 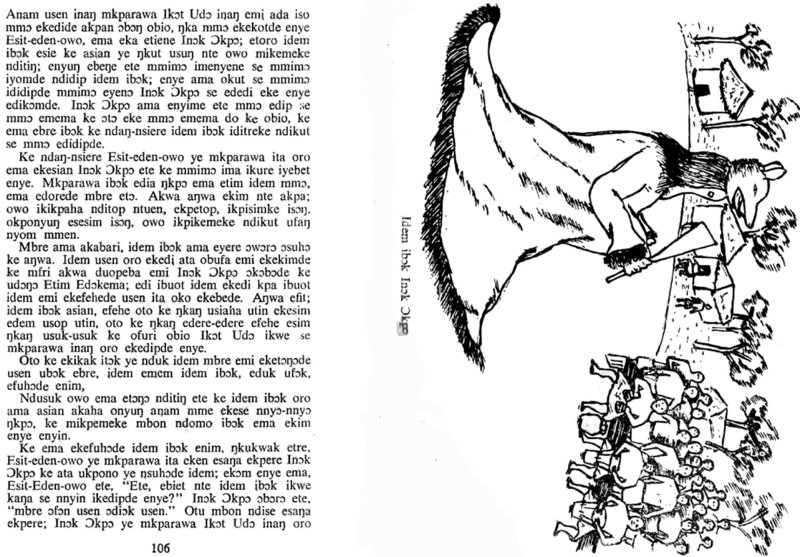 Èfịk Fiction. Ibadan: Evans Brothers (Nigeria Publishers) Ltd.
Okon, E.E.E. 1976. Uyi Efiong Esien [‘The story of a woman’]. Calabar: Hope Waddell Training Institution Press Ltd.
E.E.E. 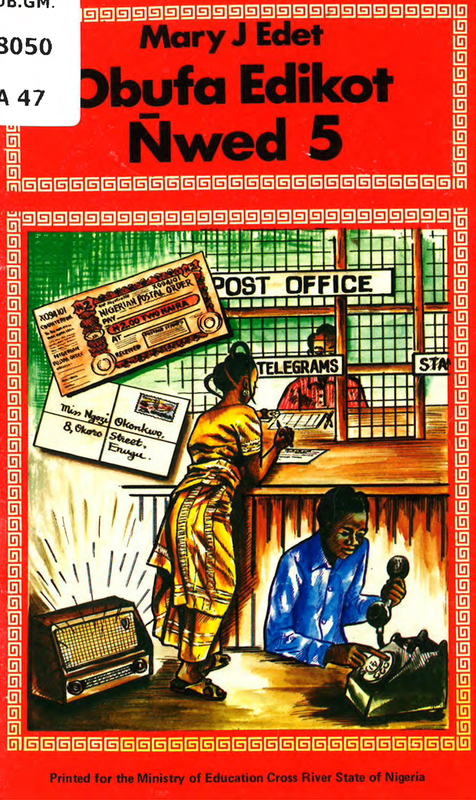 Okon, Uyi Efiong Esien, 1976. E.E.E. 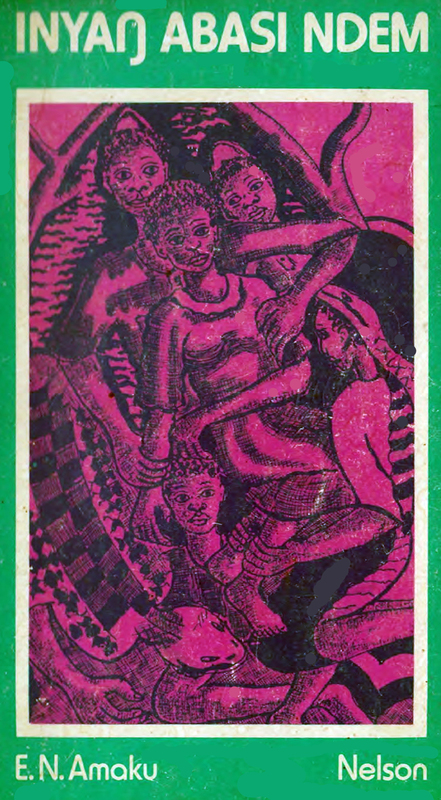 Okon, Uyi Efiong Esien, 1976, pp 106-07. Otop, Asuquo. 1993. Mme Ndem Kedi!! [‘The Gods are Coming!’]. Asuquo Otop. Ibadan: JIS Printing Press. Udiana Edikot Nwed: Mbuk, Nke, Mbre ye Uto. 1930. Èfị̀k Translation Bureau Ewet Emi. C.M.S. Niger Bookshops: Port Harcourt and Branches. 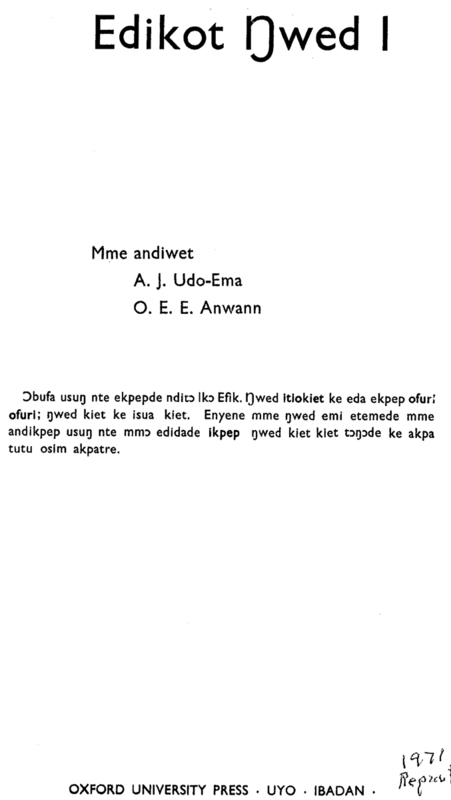 Udiana Edikot Nwed: Mbuk, Nke, Mbre ye Uto, 1930. Udo-Ema, A.J. and O.E.E. Anwann. 1971/1973. Edikot Nwed 1. Uyo; Ibadan: Oxford UP. A.J. Udo-Ema & O.E.E. Anwann, Edikot Nwed 1, 1971. Udo-Ema, A.J. and Mary J. Edet. 1987. Nwed Usem Nnyin 2. Ibadan: Macmillan Nigeria Publishers LTD, 57 pages. ISBN: 978-132-773-1. A.J. Udo-Ema & O.E.E. Anwann, Nwed Usem Nnyin 2, 1987. A.J. Udo-Ema & O.E.E. Anwann, Nwed Usem Nnyin 2, 1987, p. 78. Umana ye Eno, Akpa Nwed Iko Efik. 1968. Pupil’s book. 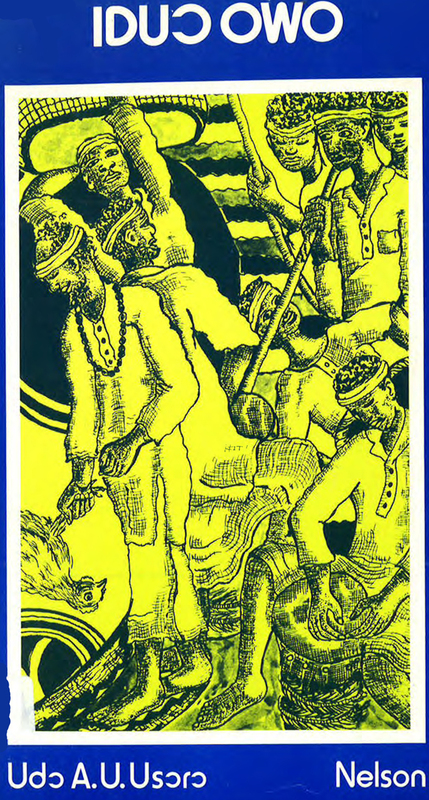 Ibadan: Longmans of Nigeria Ltd.
Umana ye Eno, Akpa Nwed Iko Efik, 1968. 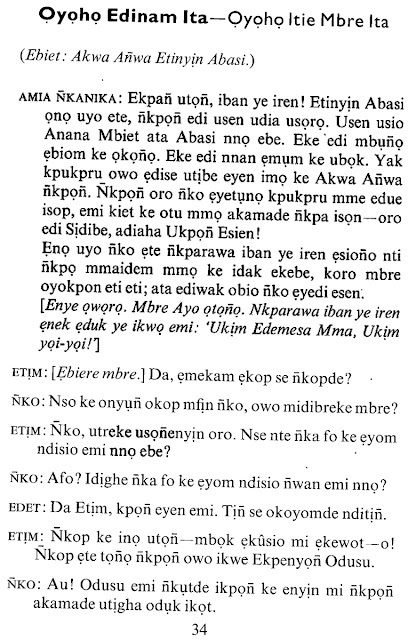 Umana ye Eno, Akpa Nwed Iko Efik, 1968, p. 42. Usoro, Udo A. 1973. Iduo Owo (a play). Lagos: Nelson (Nigeria) Ltd.
Udo A. Usoro, Iduo Owo, 1973. 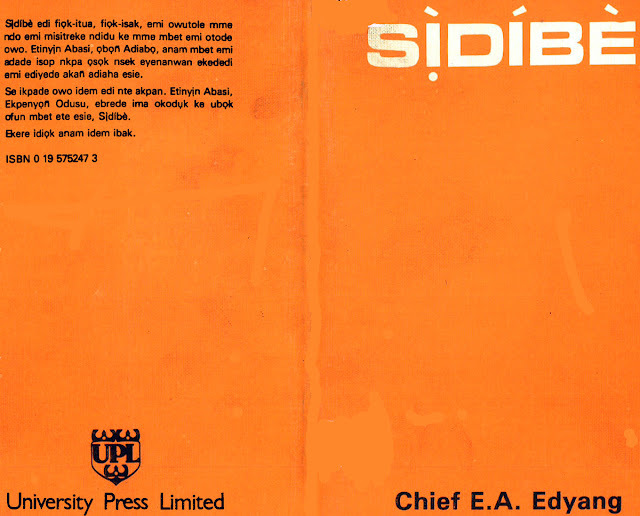 Aye, Efiong U (Editor). 1985. 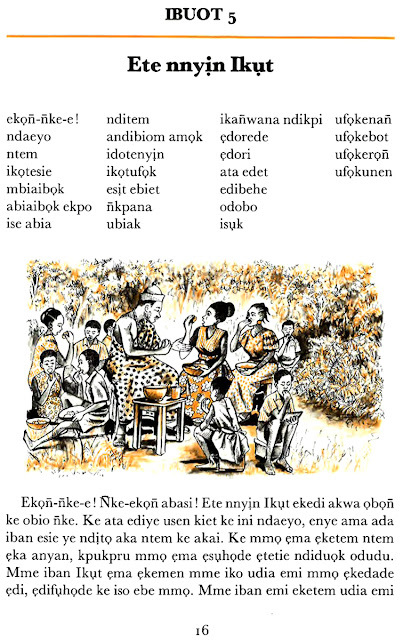 The Efik Language and Its Future. A memorandum produced by APPELLAC (Association for the promotion of Efik Language, Literature and Culture). Calabar: Glad Tidings Press. Behrendt, Stephen, A.J.H. Latham, David Northrup. 2010. The Diary of Antera Duke, an Eighteenth-Century African Slave Trader. New York: Oxford UP. Goldie, the Rev. Hugh. 1874/1964. A Dictionary of the Efịk Language, in Two Parts. Ridgewood, N.J.: Gregg Press (Original 1862). Ọyọyọ, O. I. 1943. A summary of study in Effik-Ibibio language, with particular reference to orthography. Calabar : Henshaw Press. OCLC Number: 652183458. 20 pages.